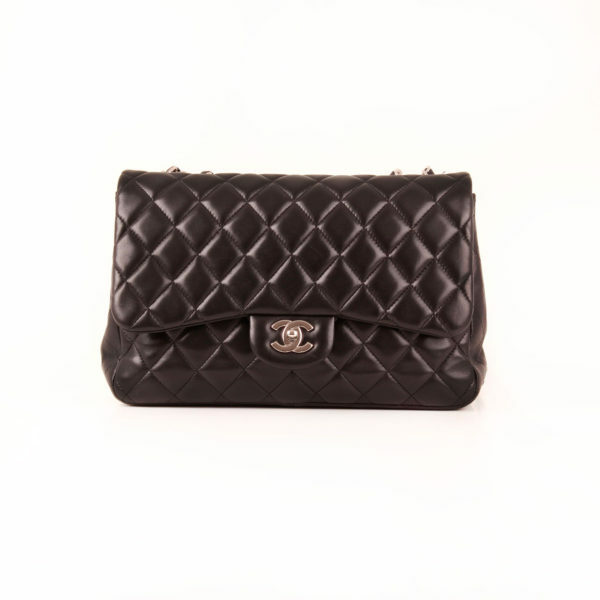 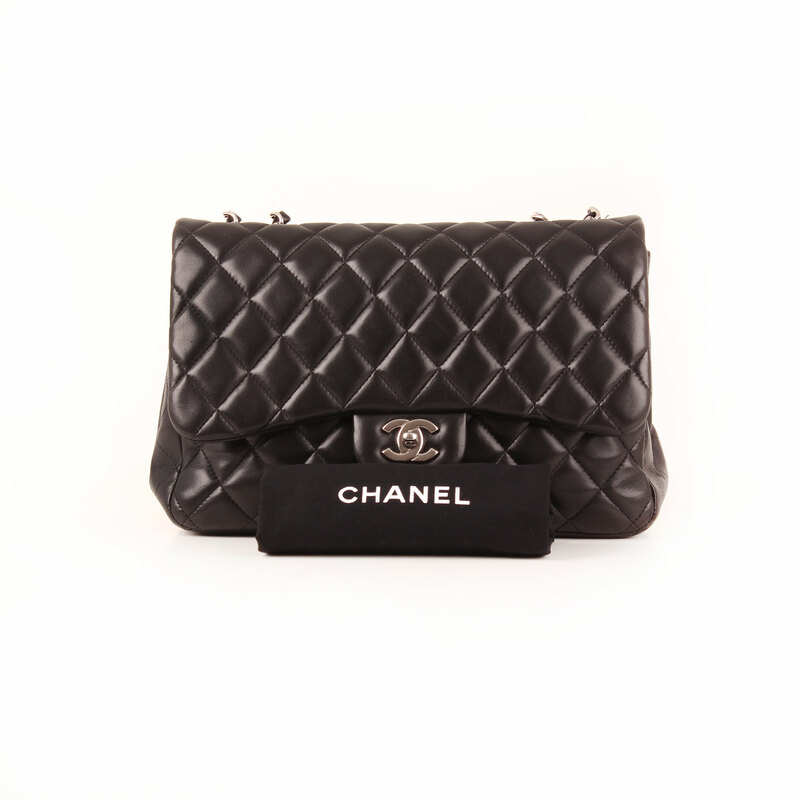 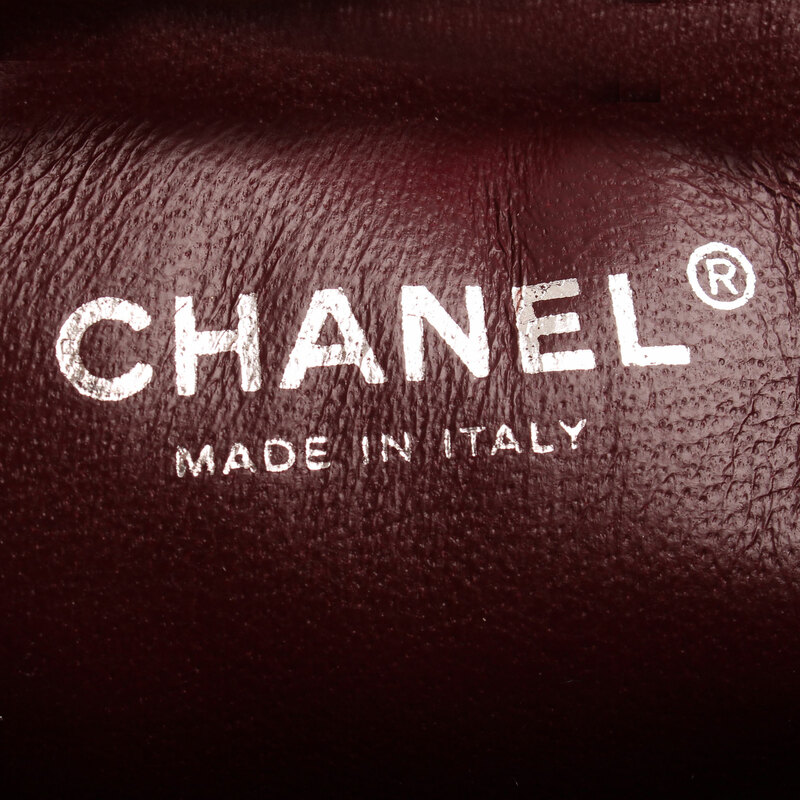 Chanel Large Flap it is a nice model in a large size which still remains spacious and light. Its “single flap” makes it an iconic and recognisable style meanwhile it keeps the classic essence. 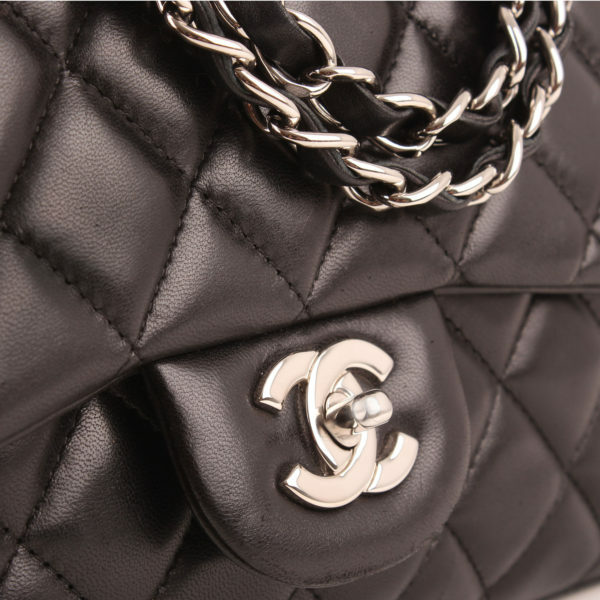 This is an example of Chanel’s most classic line. 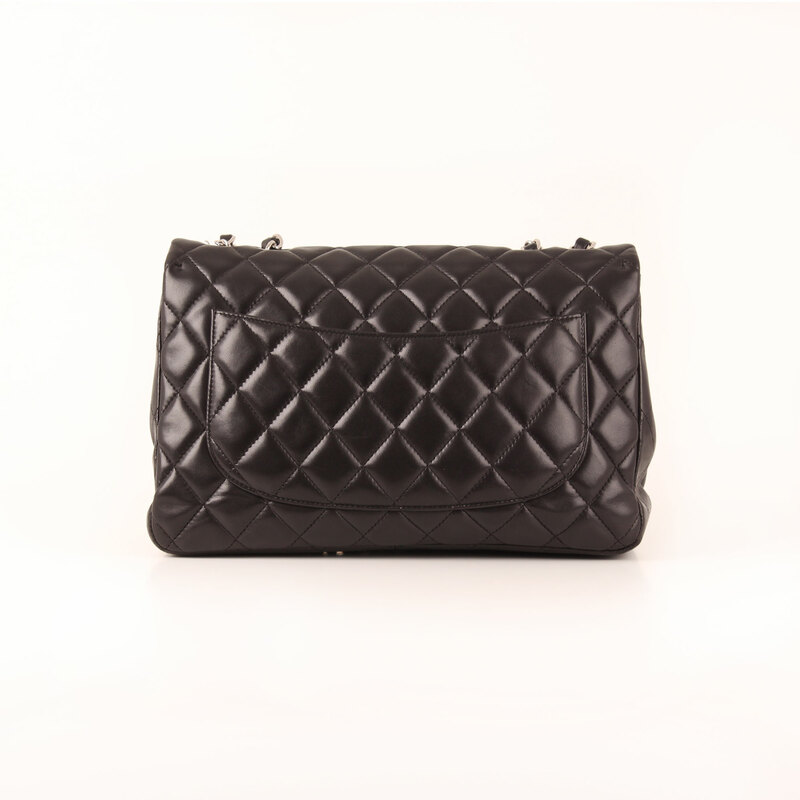 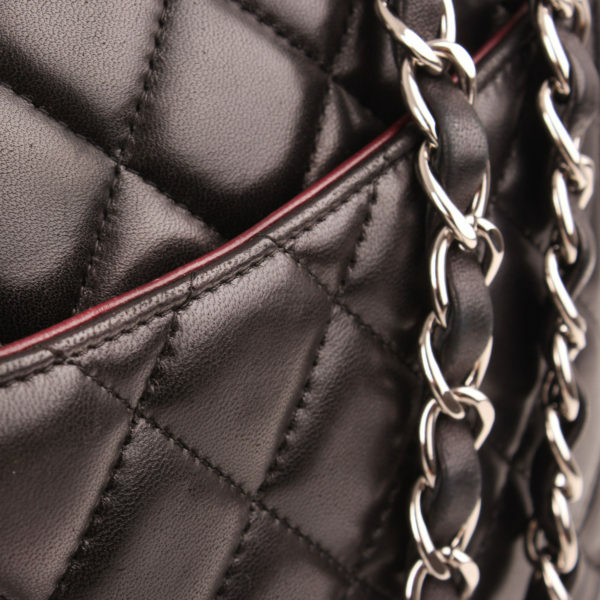 A bag in black quilted lambskin combined with a platinum hardware, making this piece trendy. 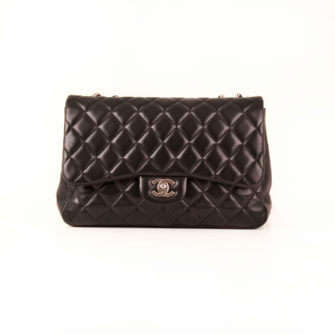 Its single flap draws a curve line wich drops at both sides and closes with the classic CC lock. 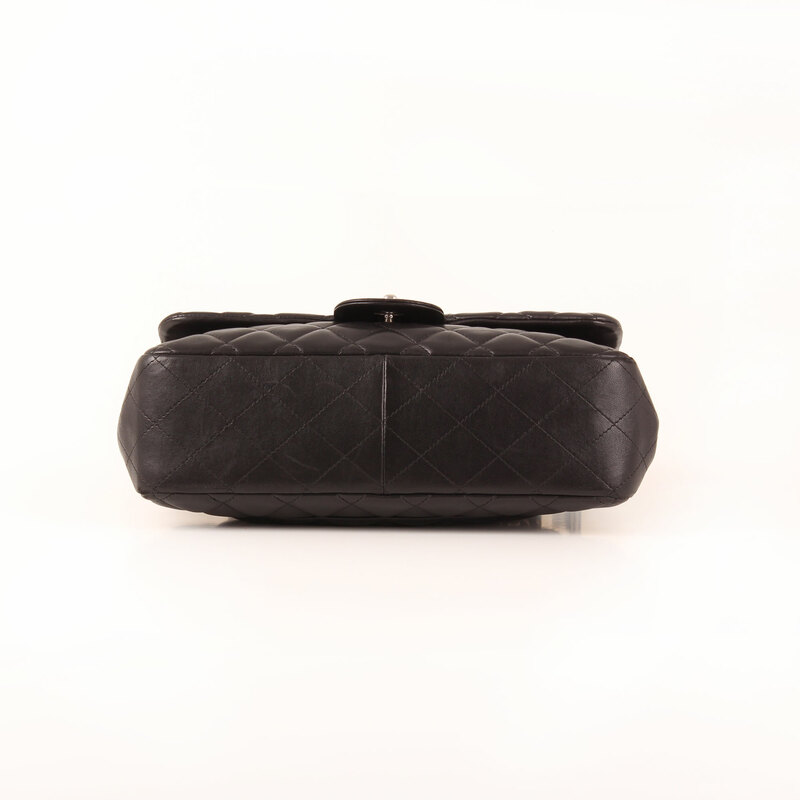 It is a soft and flexible piece in a very good condition keeping its original shape. The chain with the classic interlace has an appropiate shoulder lenght. 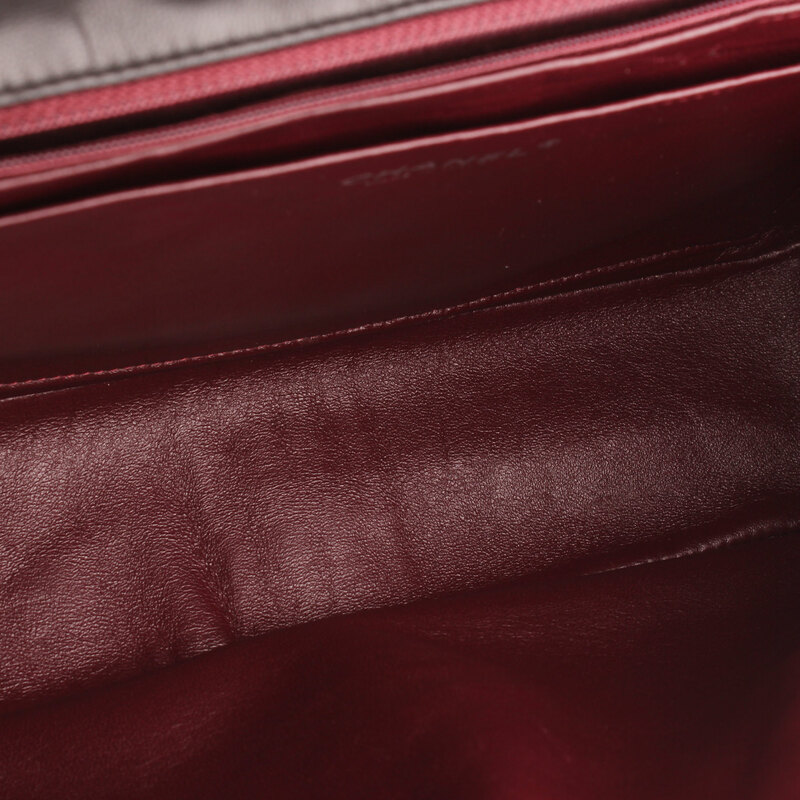 Also, it has a medium size flat pocket at the back and two interior ones, one of which closes with zip. 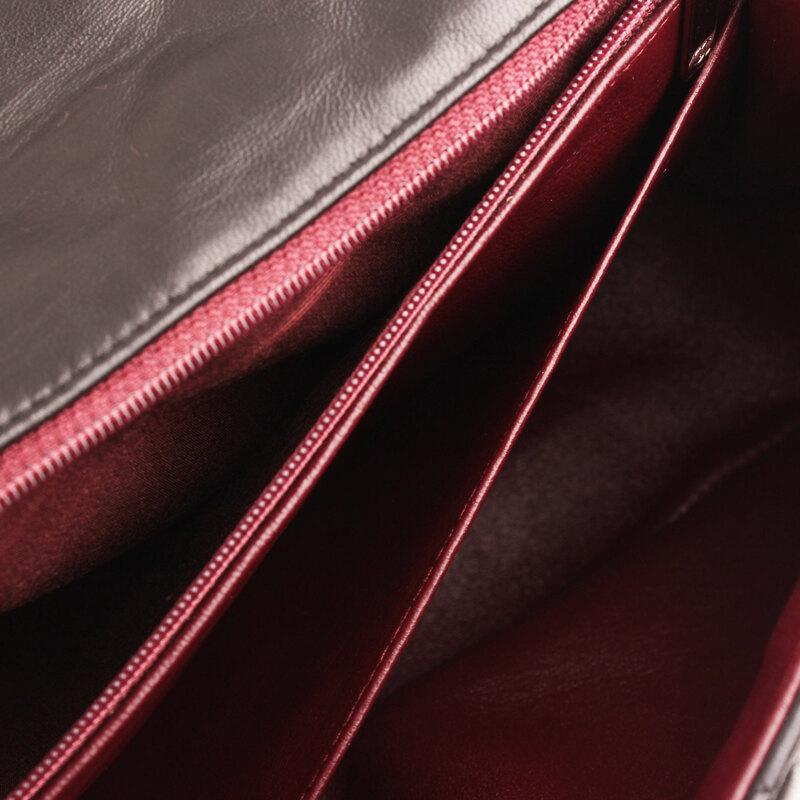 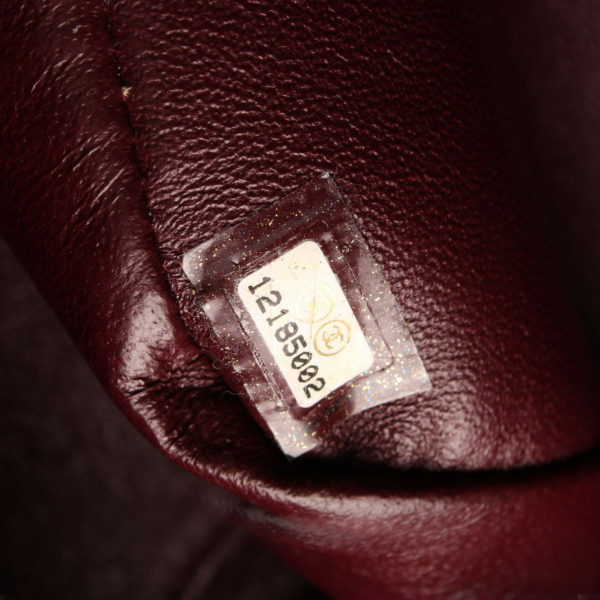 The lining has a nice burgundy color making a nice contrast with the reverse of the flap. Details: Slight signs of wear on the reverse of the flap.